I was privileged to invite Mr. Howse for an interview with BookecCenTric to discuss his latest book and the inspiration behind his creative works. Here is a little excerpt of our interview below. Thank you @NigelHowse for joining us today. What inspired you to write your latest book? NigelHowse: I really enjoy experimenting in creative story telling and writing poetry. After I wrote and published my first book titled 'The Hammer Bird’ published 1985, I completed a correspondence course, increasing my confidence and skill to write more. This book culminates from these more direct links between personal experiences and direct observations of my everyday sensory awareness. Summarize your book in 1-3 sentences as if you were speaking to someone unfamiliar with your book and its topic. NigelHowse: My stories are designed to be read as poetic journeys, both visual and imaginative like films. As I write, ideas arise from places, themes and current events that I then recompose into imaginative and arresting stories. What is the overall theme (central topic, subject or concept) of your book? 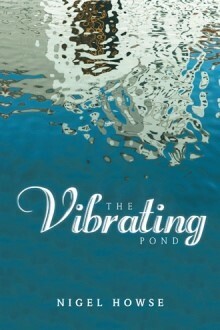 NigelHowse: In this collection titled 'The Vibrant Pond' the overall theme is 'transformation through poetic awareness'. In these stories I attempt to depict experiences imaginatively in order to capture and encourage the reader's interest, inspiration and enjoyment.